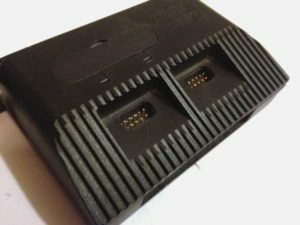 As mentioned in my previous video, I have a Ram Turbo Interface for the Sinclair Spectrum which simply did not work. Not all the joystick directions would function, including fire. This is a “pull-apart” unit, only being secured by the friction on four mating posts in the unit. 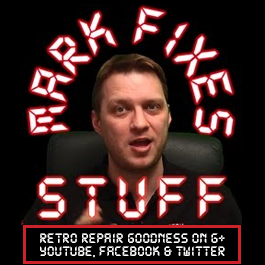 I suspected that the (nearly) 30 year old unit might be suffering from dry solder connections and upon opening the unit found that the soldering had been very poor from the start. A quick refresh of all the solder joints and the unit is now fully functional. To test I played Dizzy II with the joystick in Kempston mode, from a DivIDE plugged into the expansion slot on the back. Those of you who saw my video “A bloody heavy package arrives” will know that Ash A.K.A ElectronAsh on Youtube sent me package of Sinclair Spectrum goodies, including a board that *was* working but he used the Z80 from it to test a non-working board, which then sprang to life. The board is now sporting a brand new 40pin DIL socket and SGS Z80. The machine starts up to the “©Sinclair 1982” logo, and probably will go further but I need a membrane for the keyboard. 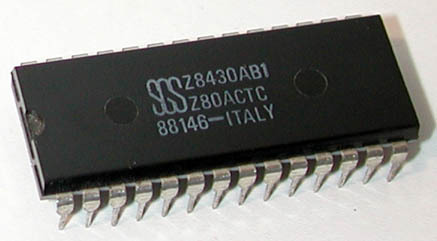 The only problem is that the SGS version of the Z80 has no support for the M1 line, so cannot be used with a DivIDE or similar devices that require a non-maskable interupt. The membrane replacement will become a video in ultra clear HD, and as ever, the membrane will be provided by SellmyRetro.com. More videos coming soon 🙂 – Subscribe to get your FIX!! !